Reach out to those who need to feel included. They have talents or expertise that would be helpful. Compassion goes a long way and neutralizes tension. It’s better to look at each other face to face; sense how each other really feels. Expectations are high on both sides, so don’t step on each others egos. Find a middle ground for best success. Promises need to be backed up with action. A subtle shift in the tide allows matters to flow in a more natural direction. Meet interesting or different people even if its a challenge. The new moon eclipse is Thursday. Try your luck Friday the 13th. Make solid agreements that settle any outstanding matters or advance others. ARIES: A sudden whim can take you in a different direction or to a place. Complete things up to that point. TAURUS: You feel lucky and can follow your instincts to take a chance. Have a back-up plan in place now. GEMINI: Decide if you will continue contact with someone or cut ties. Consider long term ramifications. CANCER: Expectations of others are high. Make sure you have an alternate source of what is promised. 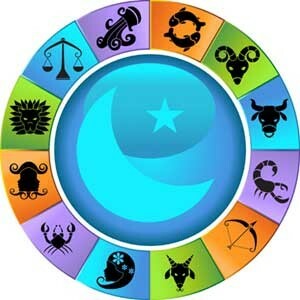 LEO: Make choices regarding home or property matters. There could be some private arrangements. VIRGO: Meet with others. There could be a connection to the past or familiar locations. Talk things out. LIBRA: Income opportunities may have strange or unusual circumstances. Check facts before signing. SCORPIO: Visit places physically before making life changing decisions. Grass is not always greener. SAGITTARIUS: Favours or perks make your efforts feel more worthwhile. Take care of related papers. CAPRICORN: Your strong, steady approach has a calming influence on others. Keep up their morale. AQUARIUS: You have power behind the scenes. Special arrangements will benefit you financially now. PISCES: You are the puppet master and secretly enjoy the plays you make. The results are interesting.